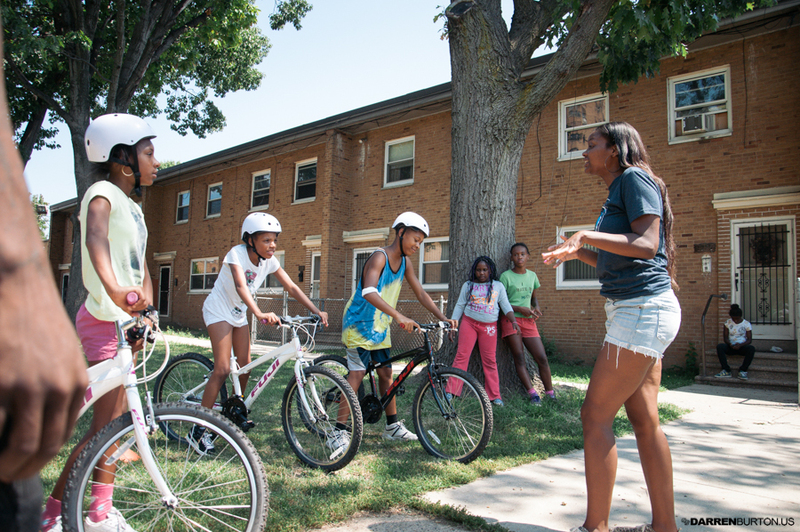 Safe Routes Philly coordinator Waffiyyah Murray speaks to youth about bicycles. Photo by Darren Burton. When it comes to promoting bike share in Philadelphia, age is just a number. 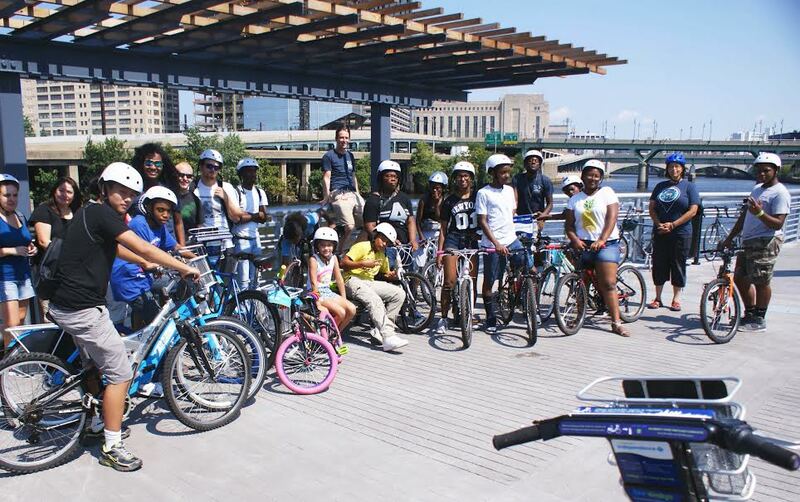 As part of their outreach efforts for Indego bike share, the Bicycle Coalition of Greater Philadelphia collaborated with the local Safe Routes to School coordinator to provide youth-specific programming throughout their inaugural summer. 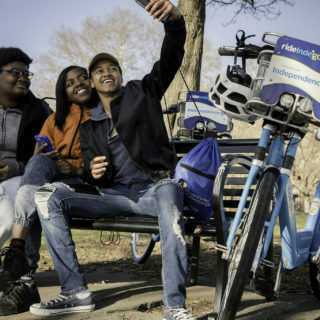 Focusing on youth might seem counterintuitive for a bike share in the short term since half of teens don’t meet the minimum age requirement (16) to use Indego. 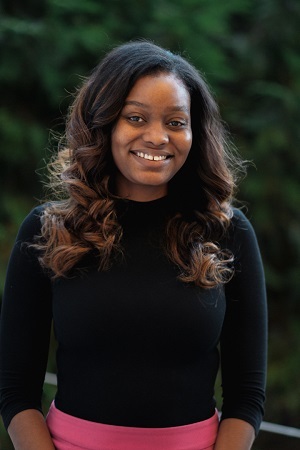 But organizers say what youth programming fails to do in terms of direct membership signups, it makes up for tenfold by building indirect awareness and—perhaps most importantly—by establishing goodwill among the community. Katie Monroe of the Bicycle Coalition says programming for kids was the number one thing requested by the community organizations that were approached about bike share, and they knew by answering that call they would be creating or strengthening authentic relationships with those organizations for the future. The Indego team and Safe Routes Philly coordinator Waffiyyah Murray found several ways to tie in bike share. First, they simply showed off an Indego bike. Beyond that, they integrated bike share into certain events, like the cumulative group ride that ended the summer partnership. 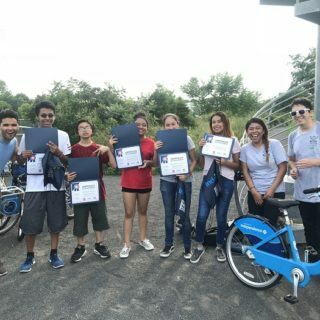 Youth rode their own bicycles down a popular riverside trail alongside their Indego-riding parents and adults. 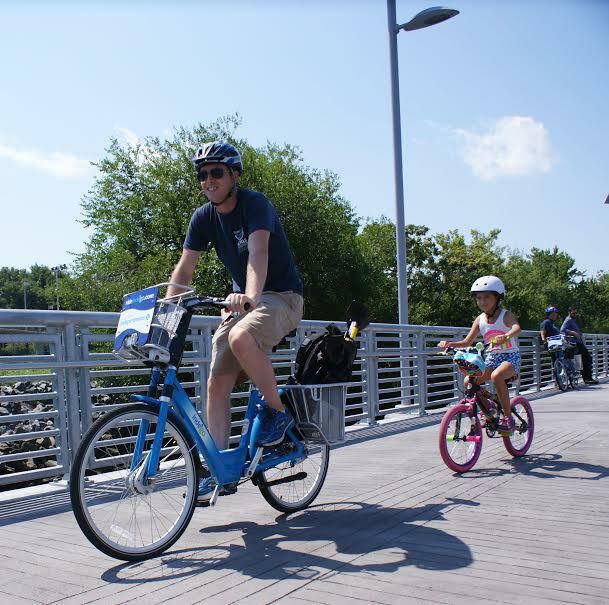 At least some of those parents might never have otherwise checked out Indego or attempted to participate in a group ride.